Cimarron Jack's Real Wild West is an historical Western novel written by GP Hutchinson. Jack Wheatley had taken his chances and sold his father’s ranch upon inheriting it. He invested every bit of that inheritance in Cimarron Jack’s Real Wild West, a traveling show that brought the West to eager fans across the country. His was a new outfit, and starting from nothing had been challenging. Jack paid his performers what he could and put everything that was left back into the show. The show was a success, startlingly so, but then Stu Portman, one of his workers, quit in disgust, and other hands began to follow suit. They claimed he was paying them too little and taking them for granted. Jack suspected someone, a competitor, was out there poaching his riders. But who? While Jack realized he had little real experience of the Wild West, he did his best to conjure up the magic for everyone who came to the shows. When the train transporting them to San Francisco is sabotaged, Jack and his riders suddenly find themselves living the Wild West experience. 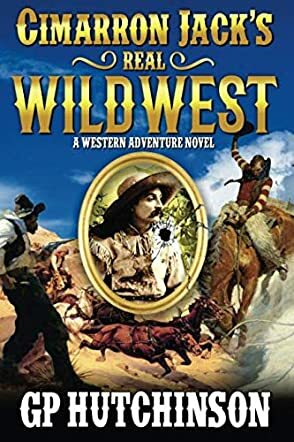 Cimarron Jack's Real Wild West is a fun and fast-paced adventure tale that recreates the Wild West through the eyes of the relatively unseasoned showman. When Jack decries his lack of real Wild West experience, I could hear the warnings about being careful what you wish for and figured that Jack was in for an experience of a lifetime. Hutchinson’s plot is ingenious and brimming with the unpredictable, and his characters are well defined. I also appreciated learning about the egalitarian nature of the Wild West shows, which were indeed ahead of their times. Cimarron Jack's Real Wild West is most highly recommended.